Minutes from Navy Pier, this hotel is close to the heart of the action. Amenities include Hyatt's signature Grand Beds, indoor pool with whirlpool, fitness center, and more. The Westin Michigan Avenue Chicago is on the Magnificent Mile across from Bloomingdale's and the upscale shops of Water Tower Place. The exhilarating excitement of Chicago is at our doorstep. 4-star boutique luxury hotel in hip River North district, steps to Mag Mile / Galleries / Clubs. Sophisticated Accommodations; Relaxed Rates. The Sono Chicago welcomes you to a newly built boutique bed and breakfast located in the heart of the historic Old Town District of Chicago. Stay at Conrad Chicago and be in the center of it all. Enjoy globally inspired architecture and design with access to the city's most exciting destinations. If a vacation on the Chicago River doesn’t sound appealing, how about a Cleveland vacation on the lake. Set your sights on the Indy 500 or a simple laid back Indianapolis vacation and see the city in your backyard. Not interested in visiting the Willis Tower in Chicago? How about ascending the Gateway Arch in St. Louis? Looking for a fun destination for your next family vacation? 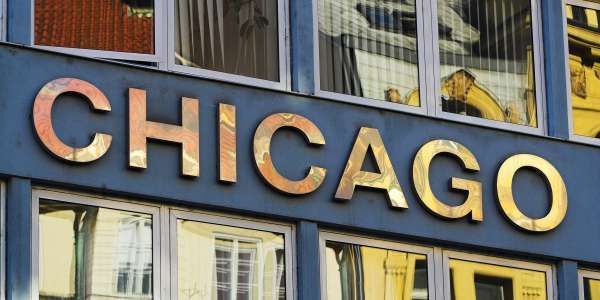 Look no further than our affordable Chicago vacation packages. Join the more than 50 million visitors who flock to the city each year for its restaurants, entertainment, and unparalleled skyline. A great destination for foodies, Chicago has some of the country’s best restaurants scattered throughout the city. To build up your appetite, take a walking tour of the city’s architecture. Chicago is ranked the fourth most walkable in the United States. Take a ride on the famous L train that loops through the city above the streets for panoramic views. After the tragic Great Chicago Fire, a building boom took place in the late 19th and early 20th century, creating one of the densest and tallest skylines in the world. There are many notable structures that combine innovation and experimentation, including the Aqua building, 35 East Wacker, the Chicago Board of Trade Building, the Chicago Cultural Center, and the Chicago Water Tower. Many Chicago tours lead you through the streets while explaining the history and significance of these buildings. One of the highlights of Chicago is Grant Park on the eastern side of Lake Michigan offering spectacular views of the skyline. Within this park is the famous Millennium Park, a 24.5-acre area created to celebrate the coming of the second millennium. In the park, you can gaze at the reflective Cloud Gate or admire the picturesque Crown Fountain. For sports fans, Wrigley Field is a must. From there, you can spend the rest of your day watching animals at the Lincoln Park Zoo, learning at the Museum of Science and Industry, or catching a performance by the Chicago Symphony Orchestra. Find great deals on itineraries to Chicago throughout the year and create a customized vacation to pique your interest. Spend time in Chicago during the colder months for a winter wonderland or visit in summer to see the beautiful foliage in the city’s many parks. You’ll find great deals on historical tours, family-friendly vacations, and unforgettable shopping sprees.